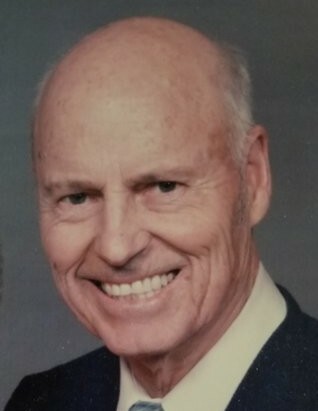 Kenneth Harland Vaughan, 93, passed away Wednesday, January 30, 2019 at St. Joseph Hospital in Eureka. Kenny was born July 27, 1925 to Rawleigh and Myrtle (Williams) Vaughan in Vale, Oregon. Kenny was the oldest of four children. He graduated from Helena High School in 1945. He attended Business College in Missoula, Montana for a year and then moved to California in 1947 and worked at the Suisun Bay Reserve Fleet near Benicia, California. It was there that he met the love of his life Wanda Marie Lovett through a friend on a blind date and they later married in Vallejo, California. In 1955, Kenny began his lifetime career as a Highway Engineer for Caltrans, Department of Transportation in Eureka, California. Kenny enjoyed spending time with his family and friends. 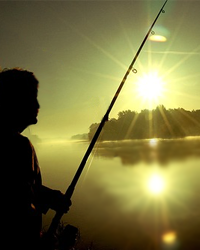 He loved to go fishing, hiking, and camping with his family. He was very active in the kids activities and coached little league games, and was an assistant scout master for Troop 58. One of his favorite hobbies was making coin jewelry, and later he began faceting stones and devoted most of his time to that. He was a member of the Humboldt Gem and Mineral Society and enjoyed demonstrating faceting in their annual shows. Upon his retirement in 1988, Ken and Wanda loved to travel in their RV visiting many National Parks and Canada. They also made several trips to Europe with the M.I. Hummel Club. Kenny is survived by his wife, Wanda; sons, Michael David Vaughan and wife Marcia, Stephen Lee Vaughan and wife Franda, and Eric Kenneth Vaughan; grandchildren, Michael Colby Vaughan, Adrian Lee Vaughan, Krystal Wanda Lee Collins, and Ethan Taylor Vaughan; one step-grandchild, David Lee Mitchell; numerous nieces and nephews and two great grandchildren. Kenny was preceded in death by his parents and younger brothers, Arnold Thomas Vaughan and Richard Lee Vaughan; sister, Dona Jean (Ciha) Vaughan. Private funeral services will be held with immediate family, with a memorial service to be held later in April. Should friends desire, contributions may be sent to the charity of your choice.